I can’t believe I am done with my advent calendar! November is almost gone and then my favorite time of the year will be here. A friendly reminder that this post contains affiliate links. Please read my thoughts on affiliate links here. You will need a sheet of Ombre Wrapping paper by Rifle paper co. This beautiful paper is printed double-sided in mint and coral. 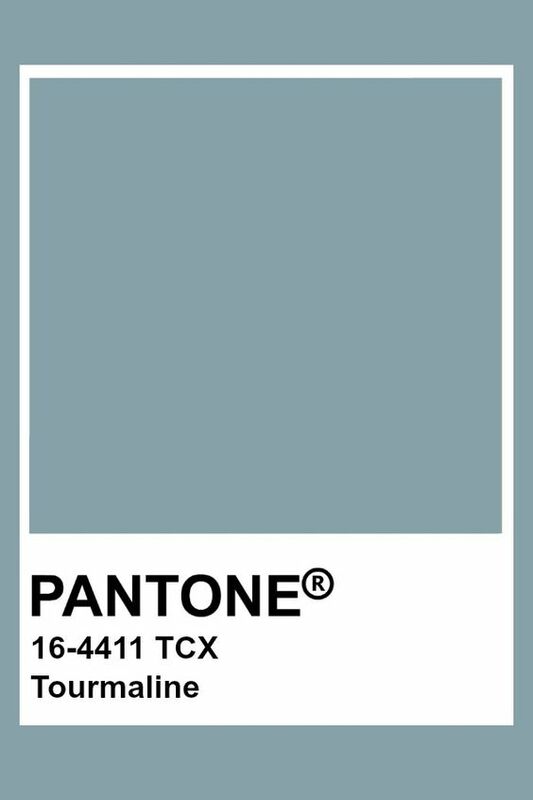 I bet you are shocked I didn’t pick the mint color ;) The first step is to glue the paper to a 26″ x 19″ book board. Second, lay out the stars on top. Apply number stickers to each star. Use a mini-white clip and clip the star. Before you glue the clips to the board, write the number of the day, a verse, and a prompt word. I found a wonderful advent verses list here. Glue all mini-clips to the board and voila, you have an advent calendar. I’m so excited to have my advent calendar ready to go and can not wait to display it on November 30th. Each day one of my kids will un-clip a star and read the verse. I also love the idea of a prompt word, that might inspire an activity with the kids, an outing or just good conversation. Thank you for visiting and please leave me a comment with your thoughts or just to say hi. 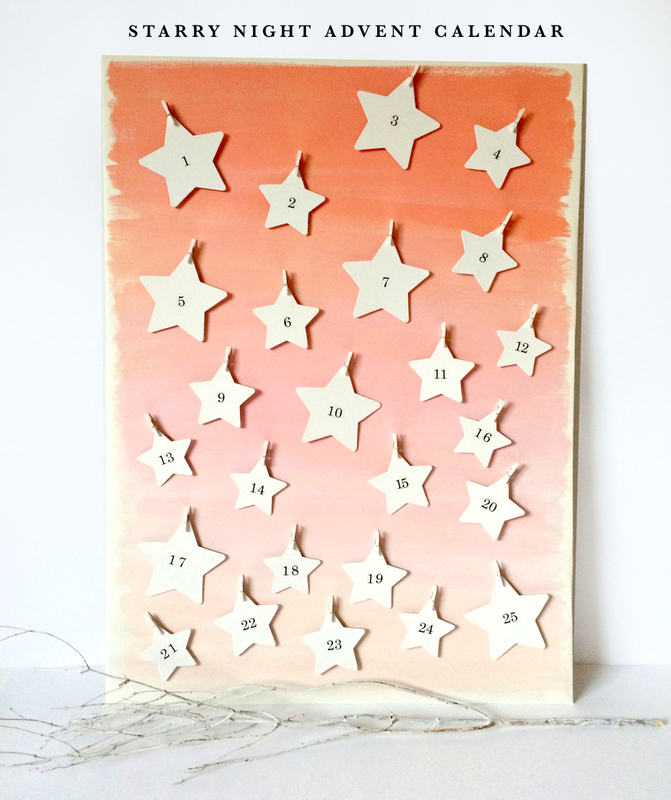 My advent Calendar was featured on “A Somerset Holiday Magazine”! I do love a good home made advent calender. This is so modern and classy – lovely! Hello Laura! Yes, I would love to link to your party tonight :) I’ll subscribe to your newsletter so I’ll get a reminder about your link party too. This is SO cute!! I love the ombre! Thank you Amy ;) ombre is here to stay for a while ;) I hope! Oh that ombré paper! I swear, anything RIfle touches is golden. And yes! I’m surprised you didn’t use the mint side! But the coral is gorgeous! This is one of my favorite projects that linked up to Found & Foraged! LOVE! LOVE! LOVE! Hope to see you again this Saturday! I know! I swoon over every Rifle Paper co design ;) Thank you sooo much for leaving me this lovely comment. I’ll be Found & Foraged party for sure! Hey Ursula! We are going to be featuring your advent calendar on Found & Foraged this Saturday! Woot Woot! Hope to see you again tomorrow! 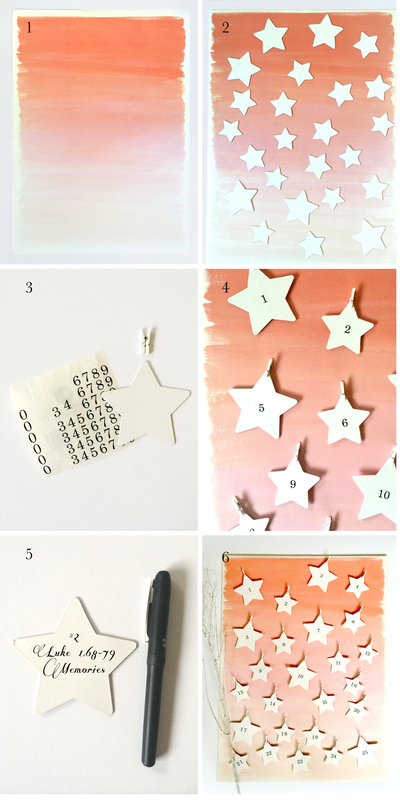 Pingback: Great Ideas -- 15 DIY Holiday Advent Calendar!